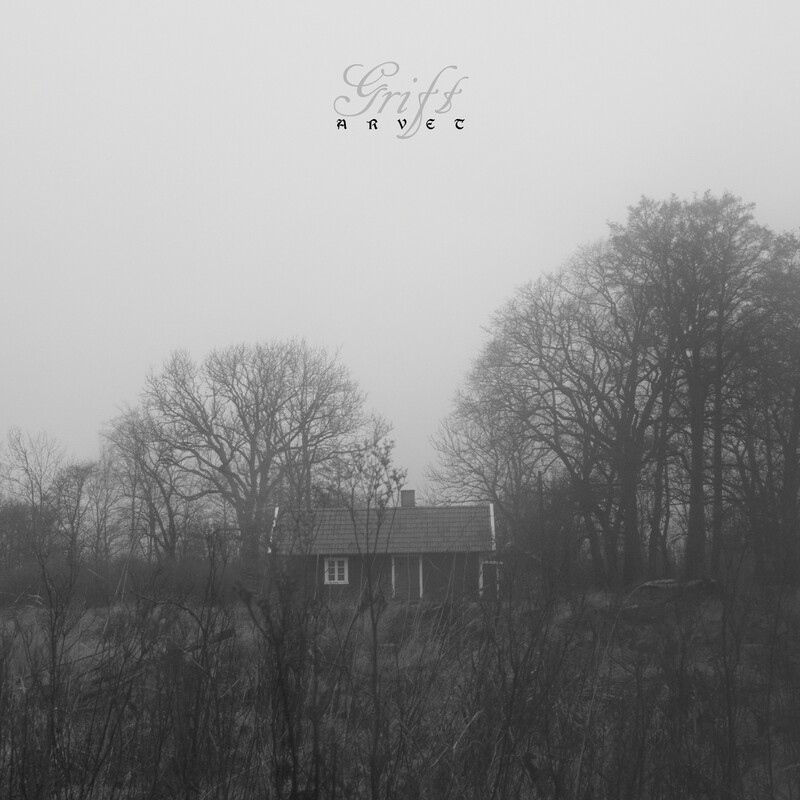 This is the second album from one-man Swedish black metal project Grift. The brainchild of the man behind Arfsynd, (among others), this is atmospheric black metal that features acoustic and folk elements alongside the more traditionally blackened ones. Along with the usual instruments you would expect, more exotic ones are also used on the album, alongside recordings of nature and animals; these conspire to add further depth and texture to the music, allowing a nature-based feeling and theme to easily develop in the rich music. These tracks are full of subtlety and nuance, with a wide-range of moods and feelings explored across the far-too-brief playing time of 35 minutes. Additional guest vocalists are used here and there that help fully flesh out the artist’s vision. These work well alongside his own well-delivered vocals, adding extra colour and feeling to the songs when they appear. This album contains six well-cultivated songs that are textured and atmospheric. Not only in a blackened way though, but also in such a manner that recalls much older times, times before electricity and living memory, times all but forgotten by most modern people. This album speaks of times far in the past, and of deep heritage remembered and honoured, despite the main mode of delivery involving the relatively recently developed style of black metal. Arvet is an album of worth, depth, individuality, and ancestry. Explore it at your leisure and learn its secrets and lessons gradually. This entry was posted in Black metal and tagged Atmospheric Black Metal, Black metal, Grift, Metal. Bookmark the permalink.